Praise God, our Savior has come. 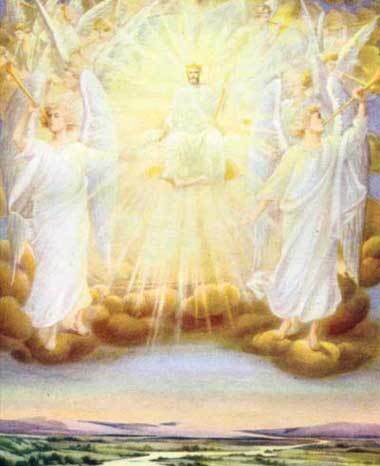 The King of kings and Lord of lords left the glories of heaven for us. to enable men to become the sons of God. Indeed! Combined with Easter, it’s the best news EVER! Merry Christmas to you and your family, dear blogging friend! Thank you, Heidi. Indeed, Christmas would not be so lustrous if it were not for Easter. Praise God! P.S. We did have a wonderful Christmas with all but one family member gathered ’round. I trust you, too, were able to celebrate to the fullest. It’s unfathomable, isn’t it? What a God we serve! Blessings to you today, Nancy! Hallelujah! Praising God today for His indescribable gift! Amen, Paige! Today and every day, right? yes it is incredible. Great quote to hold in my heart today too. Merry Christmas!! When you look upon the way that Christ is mocked everywhere, excluded from the celebration of His own miraculous birth…giving His life for the very worst of us and the very best of us is truly an amazing act of Grace. Nothing man can do against God precludes him from having the opportunity of accepting Christ as his Savior. Nothing man can do in the way of ‘good works’ can earn his way into Heaven. And for me personally, no matter how many times my faith falters during the challenging times I as a child of God have Jesus as my Savior FOREVER! Praise the Lord! It truly is incredible. Beautiful mediation, Cheri. Truly, the more we meditate on our position as sons/daughters of God and all the privileges God grants us, the more our hearts swell with the incredulity of it all!